Welcome to the Orthodox Liturgy. We remember again a real historical event that has great meaning for us: the life of Jesus. We do this in obedience to Jesus Who said, “Do this in remembrance of Me.” St. Paul wrote, “As often as you shall drink this cup and eat this bread you shall show forth the death of Jesus till He comes again.”But the liturgy is not just a remembrance. It is also a making present again today of the life of Jesus so that we are there just as the disciples were there when these great things happened.The liturgy bridges the gap between what Jesus did two thousand years ago and us today. It is like the old TV program “You Are There” which enacted great historical happenings and made us feel that we were actually there when they were happening. The sacrifice on Calvary, for example, is not repeated since the Lamb of God was sacrificed “once only, for all time.” It is made present again mystically in the liturgy through the Holy Spirit so that we are there today. We don’t merely “remember”; we re-member, we as members of His body become present with Him, the Timeless One. 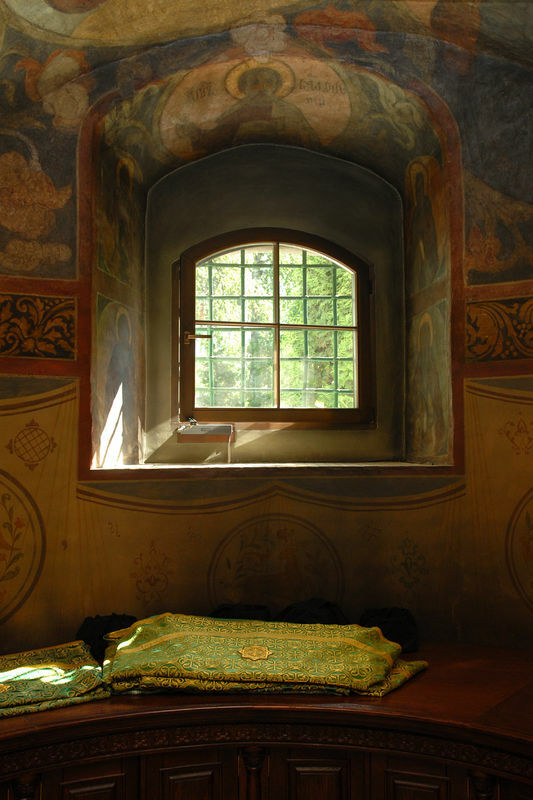 In Orthodox theology, salvation is not static but rather dynamic. The word dynamic comes from the Greek word dynamis meaning “power” or “strength”. God is our strength, and without Him we can do nothing. Without Him actually present during our time of worship our “worship” would in reality be nothing more than a mere gathering of friends, an assembly of earthly and mortal family. But in the Divine Liturgy we are instead in the midst of a heavenly and powerful and mystical family. We gather with Him as His children. As we gather in the Divine Liturgy to worship Him, we are also fed by Him. Jesus said, “I myself am the living bread come down from heaven . . . for the life of the world.” (St. John 6:51) Jesus is not dead; He is alive. Part and parcel of being saved is being fed. In fact, Jesus Himself put it quite plainly to His followers, “Let me solemnly assure you, if you do not eat the flesh of the Son of Man and drink his blood, you have no life in you . . . for my flesh is real food and my blood real drink.” (St. John 6:53-55) And in case Jesus’ use of the word solemnly isn’t clear enough, we should also note that the word St. John used in those verses and which we translate as “eat” is not the regular verb “to eat”, but a very realistic verb with a rather crude connotation of “munch, gnaw” so apparently Jesus meant it realistically, not “figuratively” as some would try to claim. His food is for all time, because He is the Eternal One. 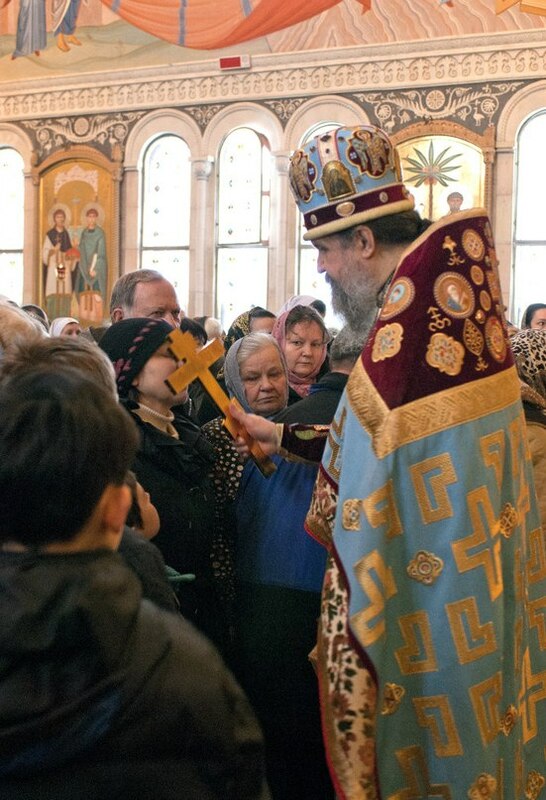 There is so much more that is a part of the Divine Liturgy, of course, and much of it may seem unusual for the first-time visitor – bright vestments on the priest, icons on the walls, incense filling the air. But all of those things are there for a lot of reasons, and with time comes the understanding of what those reasons are. Just as a web page is inadequate to fully explain what is orthodoxy, so also is a web page inadequate to fully explain the Divine Liturgy. 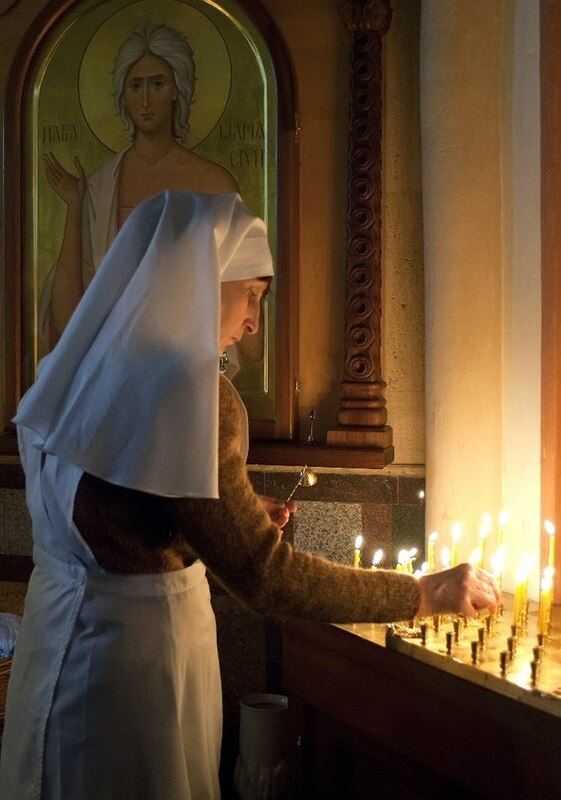 Which, by the way, is only one of many services which the Orthodox Christian partakes of throughout the year. Everyone stands for the entire liturgy. As you can see, this leaves little time for sitting. Whatever parish you are in, when in doubt, stand in prayer – yet remaining sensitive to not drawing attention to oneself, or blocking participation in the service for others. In many cultures throughout the world, crossing one’s legs is taboo and considered very disrespectful. In North America there are no real taboos against such action, rather, we tend to cross our legs to get comfortable. Should we do so in church? No. Not because it is “wrong” for us ever to cross our legs, but because it is too casual – and too relaxed – for being in the presence of God. Certainly parents should have ready access to the doors to take small children out if they are distracting or need a short break – for this reason the doors are to be accessible, i.e. let us avoid the temptation to congregate around the back candlestand and door, and challenge ourselves to move forward into the Nave. For times when it is inappropriate, unless necessary, to walk out of the service see “Standing vs. Sitting”. Young teen girl praying with a candle. Wearing lipstick is societal norm in the United States, but it can be problematic when attending church and venerating icons. If one is wearing lipstick to church, blot your lips well before venerating the icons, otherwise those following you are confronted with lipstick imprints on the icons they, too, want to venerate. One should be especially careful when the icons for veneration are not protected by glass, lipstick blots can ruin such icons. Therefore, please be careful. Remember, one wears lipstick for ones own satisfaction, while God is impressed not by lipstick, but by our humble care and love of His Church. Besides being disrespectful toward God Who is present, it is distracting for others who are striving to pray. This rule includes all services of the Church, whether it be the Hours read prior to Divine Liturgy, or the priest hearing Confessions after Vespers. It is best to save conversation for the fellowship hall, inviting guests for a visit. The proper way to greet a bishop or priest is to ask his blessing and kiss his right hand. How do you do this? Approach the bishop or priest with your right hand over your left and say “Father (“Master,” in the case of a bishop), bless.” This is appropriate and traditional, rather than shaking their hands. When you receive such a blessing it is Christ Himself who offers the blessing through the hand of the priest or bishop. Who of us would not want all of Christ’s blessings we can get? There was a time when people put on their “Sunday best” to go to church. By contrast, there is today not an insignificant backlash against such propriety. Many contemporary churches innocently flaunt a “come as you are” pitch as part of their advertising ploy. Though God does not demand us to “dress up” for Him (as though He is in any way impressed by our external appearance), the fact is, as followers of Christ in all areas of our life, we should offer Christ our “best” and not just our “leftovers” (c.f. Cain and Abel). Our dress should always, especially at church, be becoming of a Christian. We dress modestly, not in a flashy way that merely brings attention to ourselves. Little girl receiving communion from priest. Children: Only young children are allowed to wear shorts to church – but not athletic shorts, cut-offs, or “spandex” (which are not appropriate for adults either). Tennis shoes that “light up” should probably be avoided, especially for altar servers, in that they draw attention away from prayer. “This Bud”s for you!” and other similar T-shirts are a definite out. 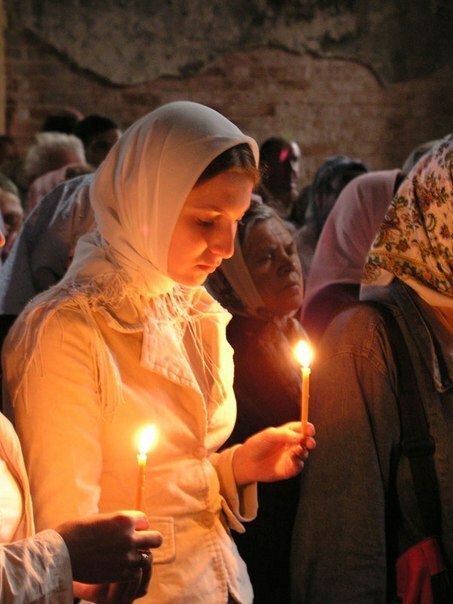 A woman’s head should be covered during the liturgy. Women: Dresses are certainly appropriate, and are to be modest (i.e. tank tops, short skirts, and skin-tight dresses serve only one purpose contrary to the aim of being in Church). Head-coverings are encouraged and appropriate. Slacks and pant-suites are an accepted part of our culture, however tight jeans and spandex type wear are never appropriate. A man has searched his heart and presented a list of sins to his priest for confession. 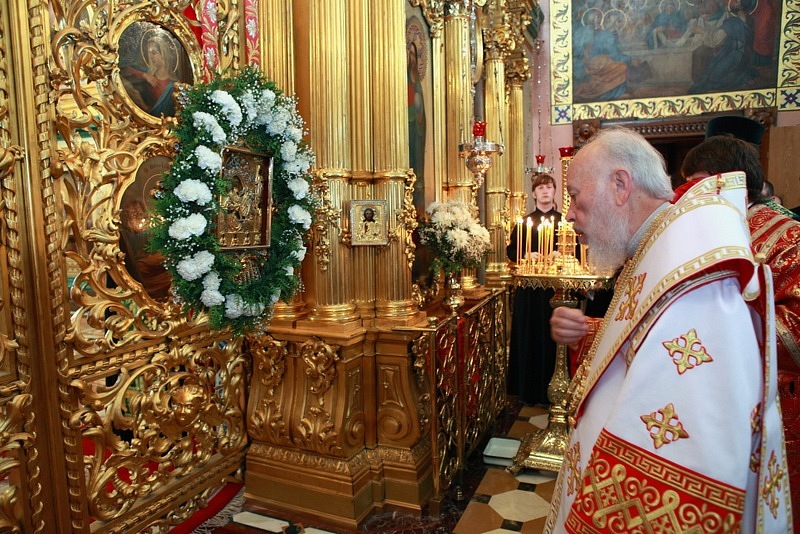 The above guidelines may be adjusted for services outside of Divine Liturgy, i.e. Vespers. It is better to be in church for prayer, than to not come at all for mere lack of a change of clothes – as may be the case when coming from a Saturday outing, or work-party, etc. Finally, this is not a call for someone to buy a whole new wardrobe just to be a part of the Church! Use your best judgment and good taste when it comes to Church. You don’t go to church to be seen by people – you go to present yourself before, and to worship, God. Especially appropriate: When venerating an icon, the Gospel or a cross; when entering and exiting the church; when crossing the church in front of the ambo (basically, this counts as crossing before the altar); and when we hear any variation on the “Father, Son and Holy Spirit.” Of course, there are other opportunities to cross oneself, especially when commemorating the “Most-holy Theotokos and all the saints,” and as stated above, at other moments of personal piety. Not appropriate: One should only bow one’s head, rather than making the sign of the cross, when receiving a blessing from a bishop or a priest; and when being blessed in the general blessing from the ambo or altar, as in “Peace be unto all.” This helps to distinguish saints and holy things from people who are ministers of holy things. Parents often bring little snacks for young children to keep them occupied and quiet in church. This is fine as long as it is discreet and quiet and the parent sees to cleaning up any leftovers. By the time a child is 3-4 years old this will most likely be unnecessary. And by the time a child reaches age 7 they are mostly capable of fasting the entire morning of Holy Communion (or at least cutting back on breakfast). 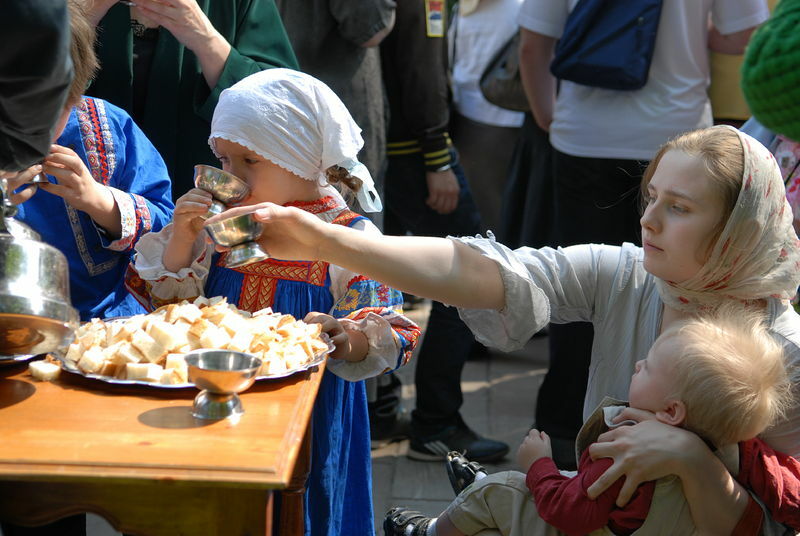 For those children who do need snacks during service, please refrain from feeding them, even a bottle, while in line for Communion, as they ought to come to the Holy Mysteries without food already in their mouths. Chewing gum is never proper in church. After taking Communion, we then consume the Antidoron and the Warmth at the side table before returning to stand with the other faithful. It is common and courteous practice to drink the warmth first, and then consume the antidoron – otherwise, those following you are confronted with particles floating in the cup. While antidoron is not the Body and Blood of Christ, it is blessed bread, and so, we should be careful to avoid letting crumbs fall on the floor to be trampled underfoot. In this regard, children should be cautioned to likewise partake of the antidoron respectfully. 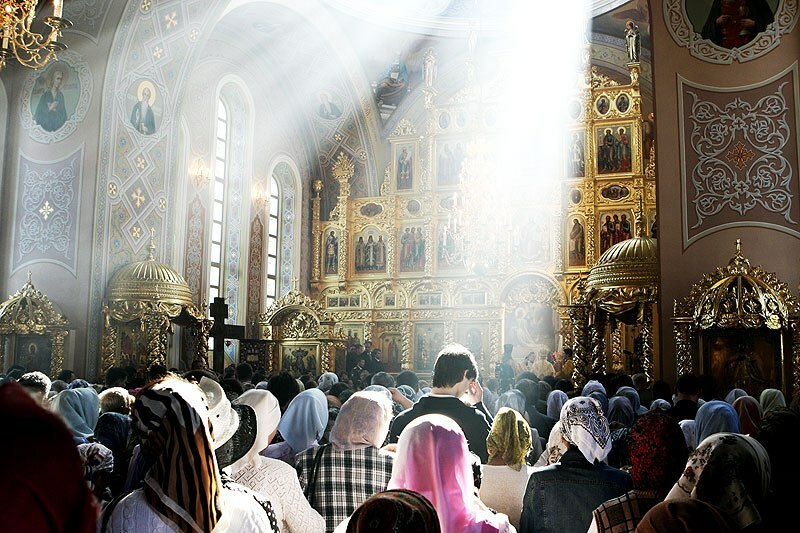 After Sunday Communion, Sretensky Monastery, Russia. 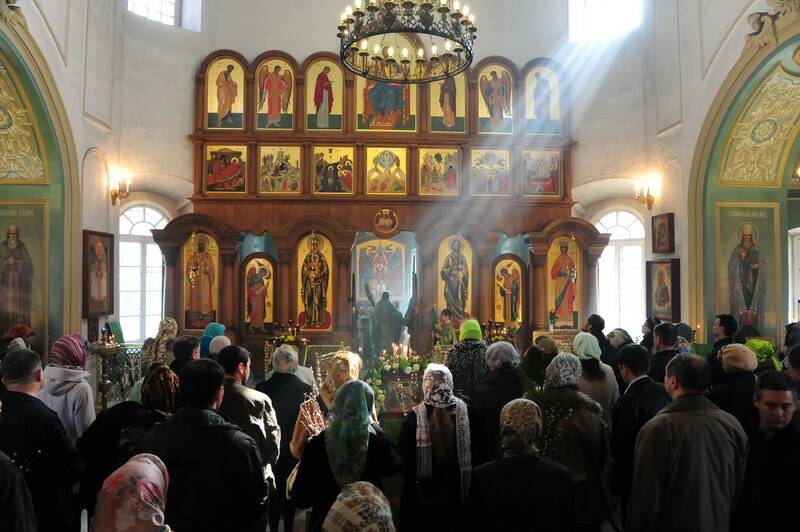 Brothers and sisters, though it is not always possible, we should, attempt to arrive at church in time for the Third and Sixth Hours, which begin 20 minutes before Divine Liturgy. The Hours spiritually recount the Creation and remind us of the regeneration of our souls that occurs in communion with God. Another aspect of being present for the Hours is that they aid us in establishing a prayerful, humble and worshipful attitude in ourselves. The Hours are meant as a preparation, and aid us in separating the Liturgy as “something glorious and precious” from our daily activities. Hearing the Hours helps us to understand more clearly that the Liturgy is important to our salvation, and is to be revered. Finally, attending the Hours is a way of honoring our subdeacon, the choir and the servers, whose dedication is such that, without them, it would be difficult to hold the services. Let us all praise God for His glorious aids to our salvation! Our American culture of the 21st Century is rather casual, even subtly anarchist, in its approach to life. Dress, music, language, values, morals, and entertainment all reflect a trend to “downgrade” life from what God intended it to be. We mustn’t allow this prevailing tendency to enter into our Christian piety, whether at home or at church. Most church etiquette is based on simple common sense and a respect for God and others. We are in church to worship God in Holy Trinity. The priest announces, “In the fear of God, with faith and love, draw near.” If we approach our lives and our worship together with this in mind, then we will be people of proper church etiquette. 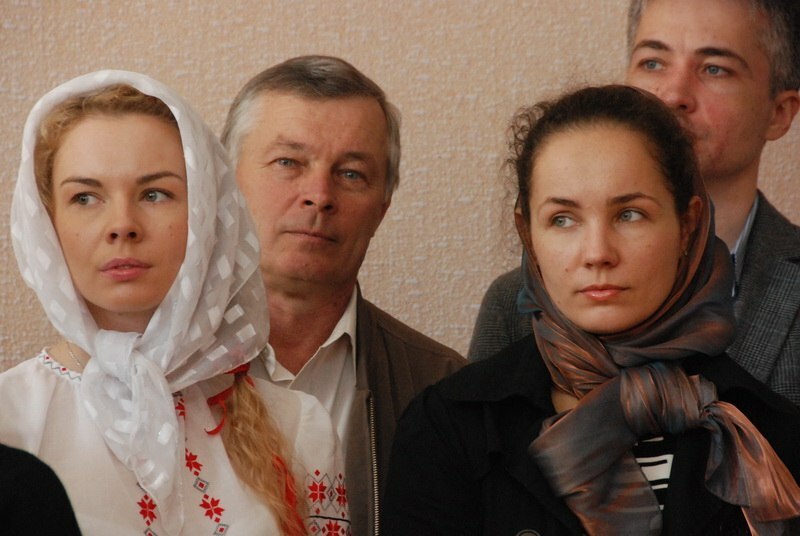 In many Russian churches there are lines to get into the service. 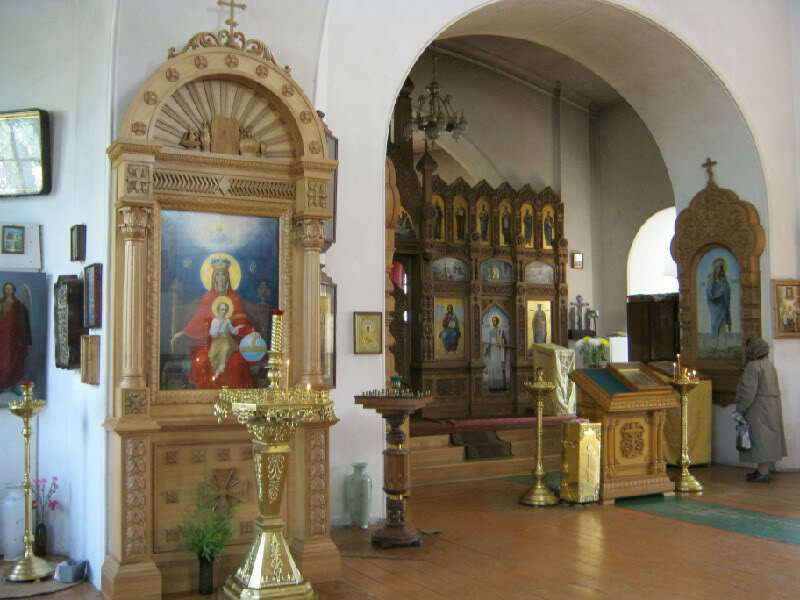 Sometime this is a result of so few churches restored (after Communism) that there simply isn’t enough room for everyone who desires to worship. In these cases plan to limit your time inside so that others can worship too. Take your cue from others in line and when your turn comes, stay inside long enough to enjoy the worship of God with fellow Christians and venerating icons and praying, while at the same time keeping in mind that fellow Christians remain outside waiting for a turn to come inside too. Winter coats: Many churches in Eastern Europe and Asia were built hundreds of years before modern utilities were invented. Don’t be surprised if the light provided comes from candles and windows and that heat is generated by body warmth from others and from the candles. 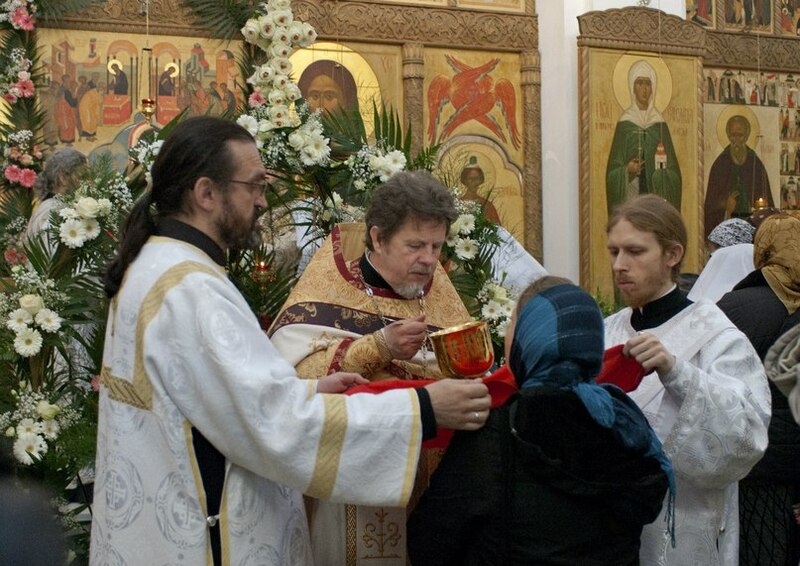 It is common in winter to wear your winter coat during the liturgy. It is considered impolite however in Russian and Asian culture to stand with hands in one’s pockets so please avoid this habit. If your hands are cold during the liturgy, wear gloves. The “Our Father” prayer is said by the people in every liturgy. Deacons lead about 50% of the liturgy under direction of the priests. And [we believe] in the Holy Spirit, the Lord, the Giver of Life, who proceeds from the Father; who with the Father and the Son together is worshiped and glorified; who spoke by the prophets. I believe in one Holy, Catholic, and Apostolic Church and acknowledge one baptism for the remission of sins. I look for the resurrection of the dead, and the life of the world to come. This whole Symbol of Faith was ultimately adopted throughout the entire Church. It was put into the first person form “I believe” and used for the formal and official confession of faith made by a person (or his sponsor-godparent) at his baptism. 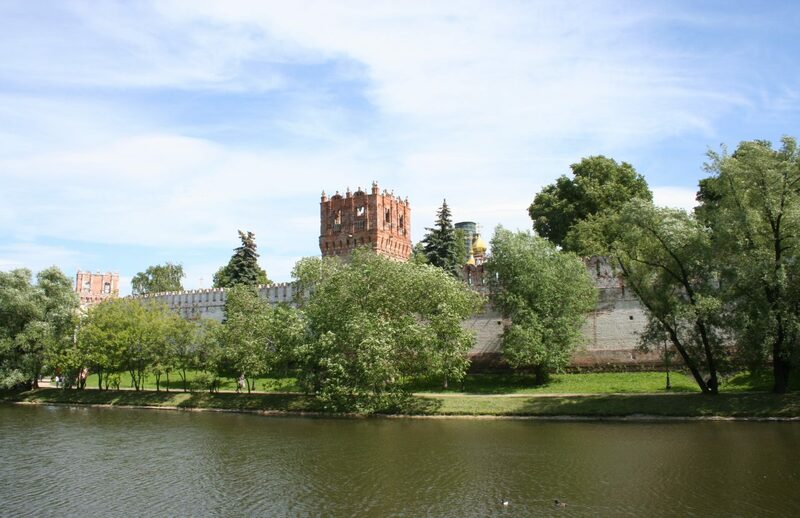 It is also used as the formal statement of faith by a non-Orthodox Christian entering the communion of the Orthodox Church. In the same way the creed became part of the life of Orthodox Christians and an essential element of the Divine Liturgy of the Orthodox Church at which each person formally and officially accepts and renews his baptism and membership in the Church. This “Symbol of Faith” is the only part of the liturgy (repeated in another form just before Holy Communion) which is in the first person. All other songs and prayers of the liturgy are plural, beginning with “we”. Only the credal statement begins with “I.” This, as we shall see, is because faith is first personal, and only then corporate and communal. I believe, O Lord, and I confess that Thou art truly the Christ, the Son of the Living God, Who came into the world to save sinners, of whom I am first. I believe also that this is truly Thine own pure Body, and that this is truly Thine own precious Blood. Therefore I pray Thee: have mercy upon me and forgive my transgressions both voluntary and involuntary, of word and of deed, of knowledge and of ignorance. And make me worthy to partake without condemnation of Thy most pure Mysteries, for the remission of my sins, and unto life everlasting. Amen. The world famous “Kazanskaya” Icon. At the conclusion of each liturgy it is customary to kiss the life-giving cross as a sign of thanks for Christ’s sacrifice on the cross for all of humanity. Kissing the cross at the end of the liturgy. Your comments to the Mendeleyev Journal are welcome. Hello my name is Maria and I work for the Center for Family Care of the Greek Orthodox Archdiocese, I wanted to know if we could get permission to use your photo of the girl receiving communion on this page for our Family Connections newsletter? Please let me know. Thank you!